Even when your business is dong great, a website is a must these days. This client has been doing business since 1993 and decided it was time to get online after customers where asking for their website address. They are wholesale representatives for various oil field and industrial suppliers. 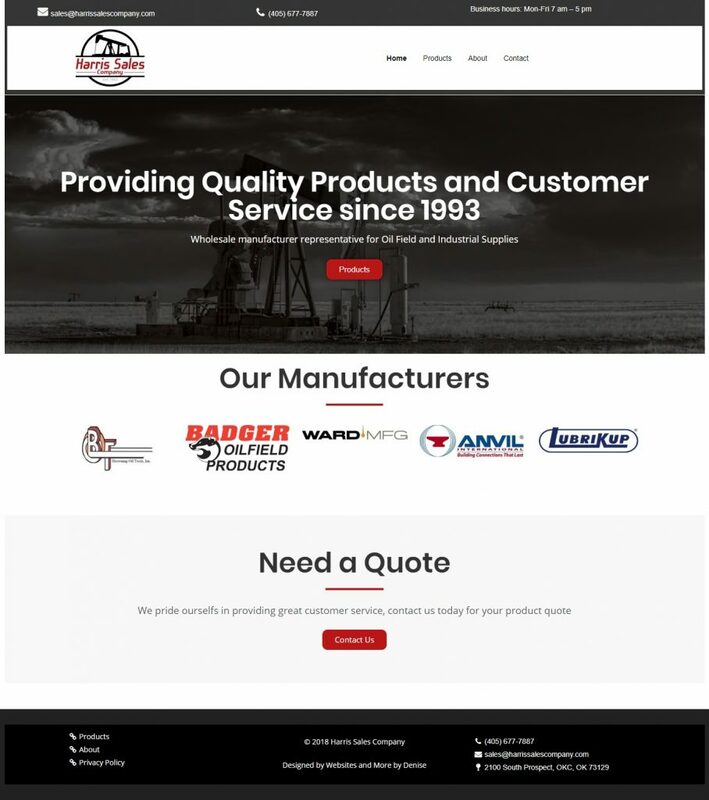 Now instead of having to update a Word document and making copies, they have an online brochure with links to the manufacturers sites that can be easily updated and available 24/7. Harris Sales Company was established in 1993 by Phil and Sheila Harris. Starting in a garage and despite a downturn in the industry, they were able to grow the business behind the principles of quality products, customer service, and integrity. By using these principles Harris Sales Company has formed strong relationships with the manufacturers they represent as well as with the customers they service.